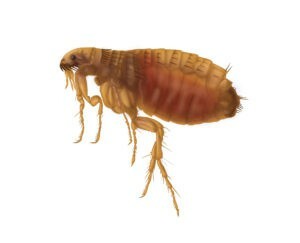 Fleas | Pest Control Omaha - Exterminator | Omaha Pest Control, Inc. If you are a homeowner in Omaha, NE with dogs or cats then you are aware of some of the nuisances and tasks that come with living with a pet with fleas. If your pets have or had fleas or ticks, you have no doubt gone to great lengths to try and control them. Fleas and ticks are very common pests in Omaha, Bellevue, Council Bluffs and its neighboring metro cities. 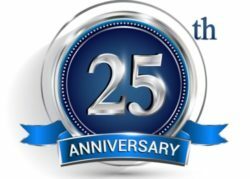 Omaha Pest Control, Inc. has more than 25 years of experience exterminating these pests. Your home needs to be kept up pest control wise to prevent it from getting infested with unwanted fleas and other unwanted pests, the same as keeping your car from breaking down from not having your oil changed regularly. Omaha Pest Control has professional programs to help the homeowner keep that from happening. Flea and tick problems originate in the outdoors and to control that problem, both the inside and outside need maintained. Omaha Pest Control provides maintenance programs consisting of Initial Services to exterminate the infested problem and, thereafter provide Quarterly Services to keep those unwanted guests out. The control of the exterior of the home and yard are a primary task to keep from flea infestation from happening. Prices of lawn and yard services are based on area square footage. They go together like birds and bees… but they’re very different. To protect your dogs, pets, and children from both of these parasites it’s very important that you understand the differences between them. Call us for advise. Fleas: Fleas can transmit bartonellosis and tapeworm. Ticks: Ticks can transmit Lyme disease and Rocky Mountain spotted fever. How Do You Get Rid Of Fleas And Ticks? Initial Service – Omaha Pest Control provides a thorough inspection of the interior and exterior of your home, then a treatment of areas where activity is present. Follow Up – Quarterly interior/exterior or exterior-only services will be scheduled as part of our annual pest management program. If pests return in between visits Omaha Pest Control returns for free. Omaha Pest Control Has Standard Pricing. Our pest control services are based on the size of the home and total materials used. Free Estimates are provided.